While Mobile World Congress is usually the stage for debuting new smartphones and tablets, Ford has decided to take it over and unveil the 2015 Ford Focus. A little unconventional for one of their best selling sedans, but who are we to question the creative minds of Ford? And creative is right. 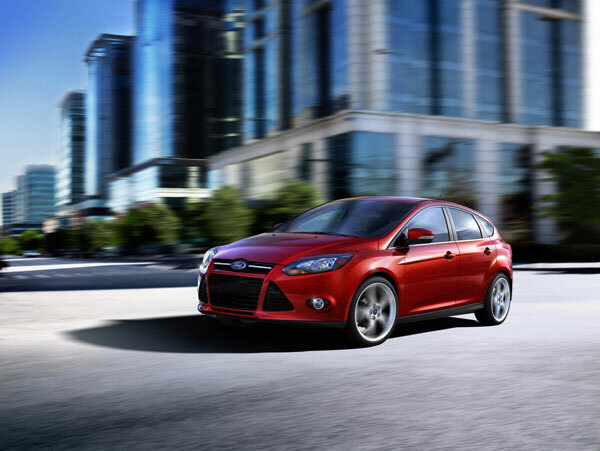 The 2015 Ford Focus has undergone so many changes, both on the inside and out. The headlights are more prominent on the front end, while the grille now resembles more of the new 2015 Ford Mustang. Consumers will have their choice of what goes under the hood, with an option being Ford’s 1.0-liter EcoBoost engine, available only on the six-speed manual transmission trim level. So what’s going to be showing up on the inside? Well, a new 8-inch display with MyFord Touch for starters. It will also include SYNC® 2 and an updated AppLink for your smartphone. The enhanced and updated Blind Spot Information System (BLIS) will also be available. BLIS will aid you in pulling out of parking spots into traffic or warn you when changing lanes would not be ideal. Here at Sanderson Ford, we can’t wait for the unveiling of the 2015 Ford Focus. We know you are probably excited too, but waiting for it can also be a little daunting. Not a problem! If you need to get your hands on a Ford Focus now, check out our expansive inventory and all we have to offer!